← Are you waiting for a Narcissist to change? The truth is a Narcissist doesn’t want to change. They see nothing wrong with their behavior, no matter how cruel or unusual their behavior might seem to others. In fact, the Narcissist enjoys blaming others for any problems that exist in a relationship. They believe wholeheartedly that they are just fine, quite wonderful in fact. To validate the pain that they have caused others would be to admit that they are less than perfect. To the Narcissist people are objects, tools to be used to enhance their own lives. 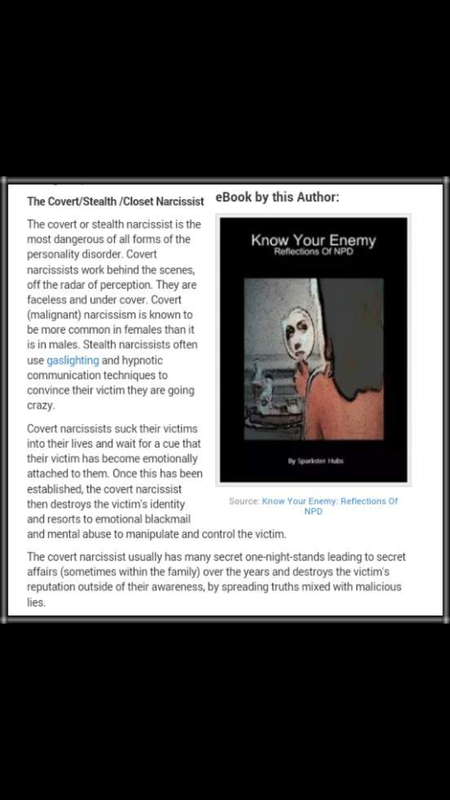 If a person is not somehow enhancing the Narcissist’s life then the devaluation phase begins, followed by the discard. Both of these phases are quite painful and confusing to the person on the receiving end of the abuse, and yes, it is abuse. If you have been in a relationship with a Narcissist you have undoubtedly experienced Narcissistic abuse and afterwards you spent months, maybe years trying to recover from one of the most emotionally painful experiences of your life. The victims of Narcissistic abuse have a hard time moving on due to the trauma caused by Narcissistic abuse. Victims of Narcissistic abuse quite often struggle with recovery due to Complex PTSD.